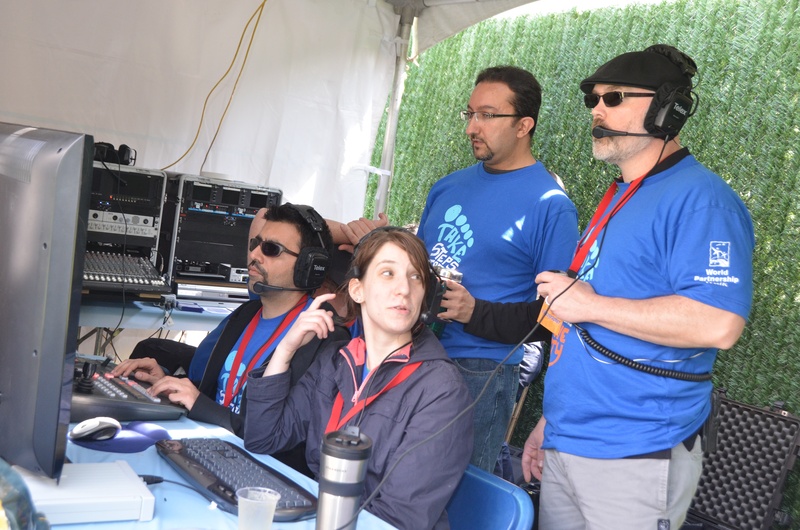 Faculty, Students, and alumni of the BCIT Television & Video Production Program were pleased to volunteer our equipment, time, and expertise again this year for the 29th annual World Partnership Walk in Vancouver’s Stanley Park. Every year, the walk generates millions of dollars in charitable donations to help end global poverty. 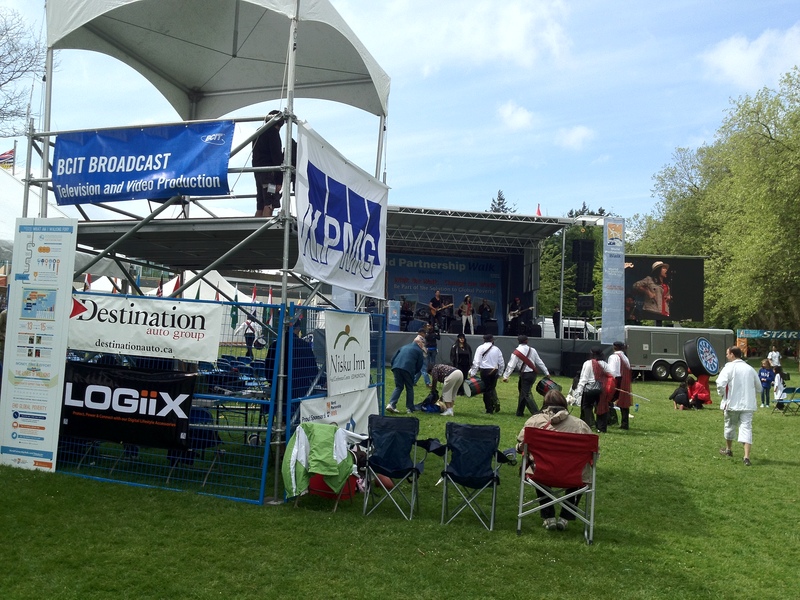 Our volunteers produced content for the main-stage LED screen, as well as covering the entire event with the same portable high-definition production equipment that we train students of our full-time program to utilize. 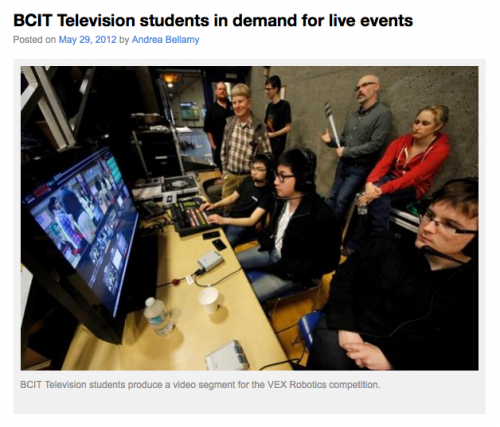 For the third year in a row, the Television & Video Production students at BCIT will provide a live stream of the FIRST Lego League BC championships event. This year, we will have demonstrations and interviews during the downtime in between rounds. Tune in to watch the event live on Jan 26, 2013 from 11:30am to 4:00pm Pacific time. The following list of information and Lego resources will be referred to throughout the program: Visit legodifferential.com/FLL if you wish to learn more about the FLL and robotics in general. 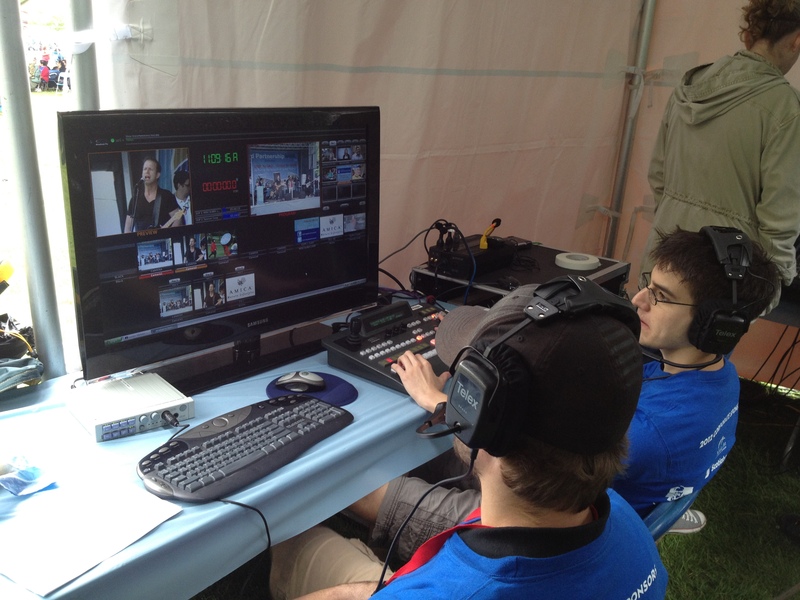 Check out the latest UPDATE from BCIT Marketing and Communications regarding the demand for our Television students as they practise their live event production skills on real world events! 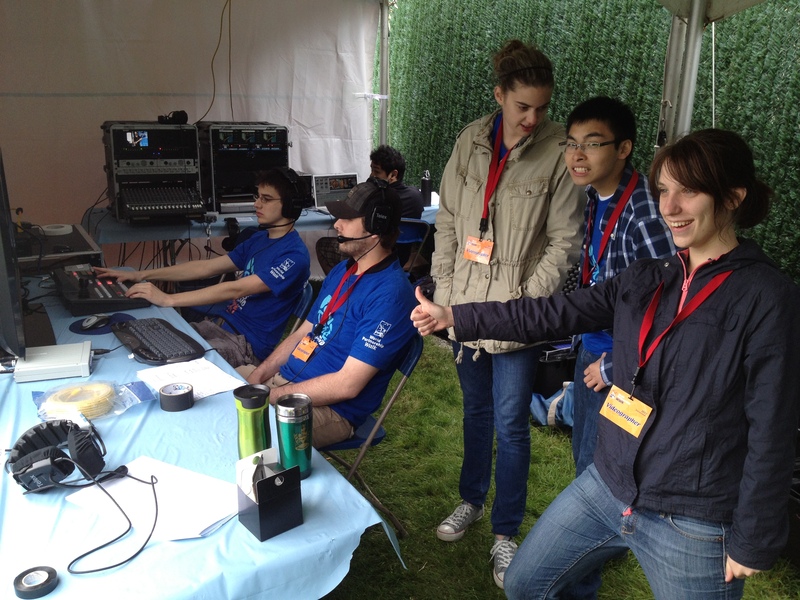 BCIT Television &amp; Video Production students and faculty volunteering to produce the live video program for the 2012 World Partnership Walk in Vancouver’s Stanley Park. 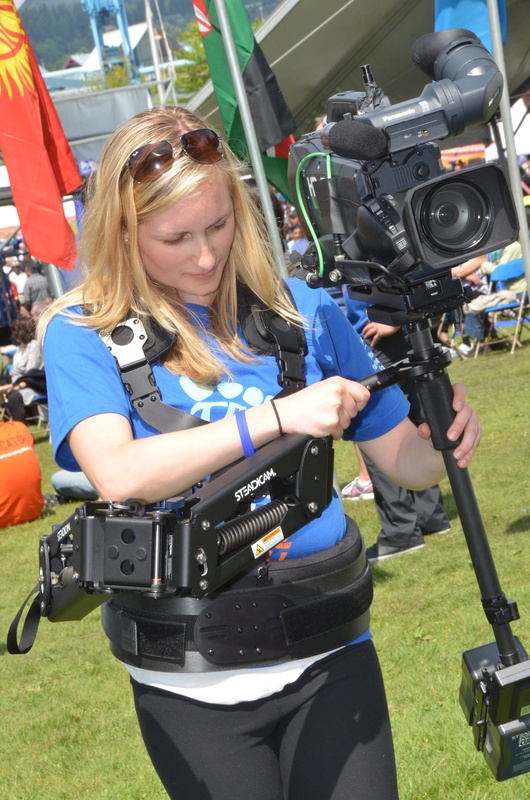 In addition to producing video for the on-stage events, our host and camera crews were out on the grounds interviewing volunteers and participants of the walk! Thanks to all of our students and staff who volunteered their Saturday to help produce the live streaming event for the FIRST Lego League BC Championships on Saturday, January 14th. This is the second year running where the Television & Video Production students have provided a live stream of the event for friends and family to enjoy! This year we had viewers as far away as Europe watching the competition. Be sure to check out our photo gallery of the event! You can also check out the complete event coverage on Justin.tv. We have more live projects coming up in the near future, so subscribe to our RSS feed, or follow our Twitter account, @bcittv to be notified of our new productions!